Once again, we have a scenario of severe overdog versus three other teams scrapping away for the coveted second spot. Holders Italy come into this tournament with accusations of their team being full of veterans and lacking a creative spark. Slovakia make their first appearance at World Cup mainly due to one player shining in their squad. New Zealand reappear amongst footballing elite for the first time since 1982 (where they were destroyed) and hope to upset the big teams. But the most interesting and also harrowing back story belongs to Paraguay. The current World Champions weren’t fancied last time in Germany, and this time they have even less backers at the bookmakers. The main reason for this is Lippi’s reluctance to change his squad. He tried at the Confederations Cup The squad remains largely unchanged from the winning side in Berlin, with hardly any younger players breaking through into the team. On one hand, this means that this side are very well acquainted with each other. But, with an average age of 28.2, it’s clearly a problem. Strangely this is lower than both England and Brazil. As mentioned squad unity couldn’t be any better. This side have played with each other for roughly 4 years, and know their manager’s tactics well. The Donadoni experiment didn’t work out too well, but Lippi knows how to get the best out his team. Italy have a superb player in every department. Gigi Buffon is still one of the best goalkeepers in the world and the best pair of safehands between the sticks you could want. In defence, Giorgio Chiellini has managed to become of the best centre-backs in the world. The midfield general Andrea Pirlo has the ability to change games when given license to roam. Up front, Lippi has several options to lead the Azzuri. Alberto Gilardino, Gianpaolo Pazzini and Vincenzo Iaquinta are all superb strikers. Antonio Di Natale has also had a superb year in Serie A and should be given a chance as well. The lack of creativity in midfield never seemed to be a problem in recent years. But with several of Italy’s midfielder not getting enough playing time this season, especially renowned hardman Gennaro Gattuso, they could struggle to keep the ball. Daniel De Rossi could be the man to hold things together now Pirlo has been ruled out of the first two games. The midfield will have to be strong and powerful if Italy are to go far. With Totti now retired, it makes you wonder where an attacking midfielder will emerge from, Di Natale being the best candidate. The form of Fabio Cannavaro is also worrying. The 2006 Balon D’or winner has been on a career downward spiral since the last World Cup and it will be interesting to see if the Italian captain can lead his side to glory again. I bought a Pirlo shirt for this World Cup. I am constantly astounded by the man; his passing technique is beyond belief at times, a free-kick master and all-round superb player. Nicknames L’Architetto (the architect in Italian), he can play as deep-lying playmaker or an attacking role just behind the frontmen. He will be sorely missed against Paraguay and New Zealand. One of the best managers in the world and of course has won the Jules Rimet trophy. Slight criticism at his loyal support of Juventus players, when their season wasn’t brilliant. Tactically brilliant but lack of Plan B could prove fatal. Their first major tournament could be a rude awakening for them. But this side deserve their tag amongst the stable of ‘dark horses’. They qualified with a team of talented youth players and experienced leaders. They are another team who’ve adopted the 4-2-3-1 system (seems to be an international favourite) and they play that formation exceptionally well. Qualifying saw them gain away wins off Northern Ireland, Czech Republic and Poland. Travelling to South Africa could see that trend continue. If Slovakia are to get anywhere in South Africa, their hopes seem to rest on one man, Marek Hamsik. The Napoli man is hot property and shows flashes of brilliance regularly. Other quality players include Liverpool’s Martin Skrtel, who’s figthing to be fit for the tournament and former Chelsea and FC Twente player Miroslav Stoch. Skrtel’s well known for his aggressive tackling and he will have to be at his best if Slovakia. Stoch on the other hand has been superb for Schteve McClaren’s side who won the league. Not a lot of the first team are given enough chances at their respective clubs. A good example of this is Manchester City Vladimir Weiss Jr who always gets a free pass into the side because of Pop. He’s been on loan at Bolton and failed to impressive. Could Marek frustrate the Italian old guard? 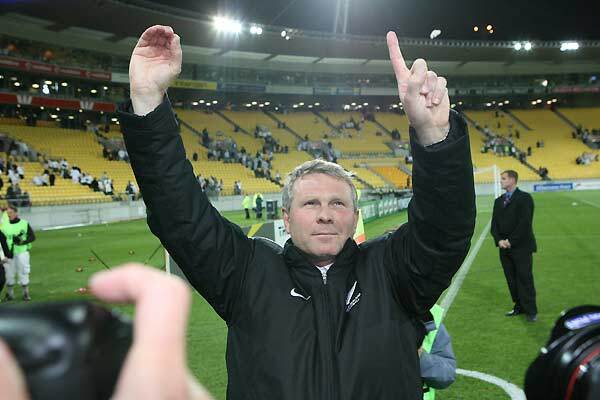 Possibly the most popular coach at the World Cup after bringing this small nation to it. He’s also the youngest coach, meaning he has little experience. Should be commended for bringing the best out of a set of substitutes. 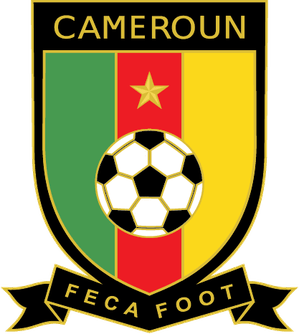 PREDICTION – Group stage exit unfortunately. Too many players aren’t match fit. To say the Paraguayans have had a nightmare 2010 is a bit of an understatement. Star player Salvador Cabanas was shot in the head (the bullet still lodged in his skull) in a Mexican bar in January. He’ll miss the tournament but the other players will hopefully strive on in honour of their team-mate. Cabanas was almost a Wayne Rooney type player in their team, so manager Gerardo Martino has been at work frantically trying to find a new system. Up front may be missing Cabanas, but the back up option aren’t too shabby. Bench-warmer Roque Santa Cruz is a accomplished finisher but will be put on the right wing in the 4-3-3 formation. In the centre will be Borussia Dortmund’s Valdez who might be familiar to England fans after he was impressive in 2006 against them. The defence was key to them progressing out of the South American qualifying group. The centre backs, Paulo Da Silva and Caceres were very strong and didn’t ship many goals. 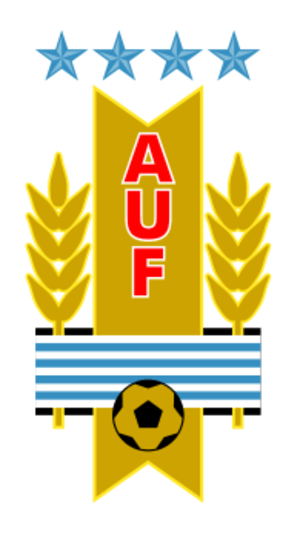 They even got a draw away against Argentina and were narrowly beaten by Brazil. The midfield doesn’t look great, with no real player standing out. First choice goalkeeper Justo Villar certainly has had practice at Valladolid this season, but does he have enough quality to stop the Italians. I don’t think so. Fitness concerns run rife through the media especially over key wing-man Oscar Cardozo. An absolute goal machine for Benfica. A prize asset for them although his goal scoring record for country isn’t as stunning. If he performs well, expect interest from all over the Premier League. He is a major doubt however. Great tactician and a believer in attacking football. He also gets the best out of young players. 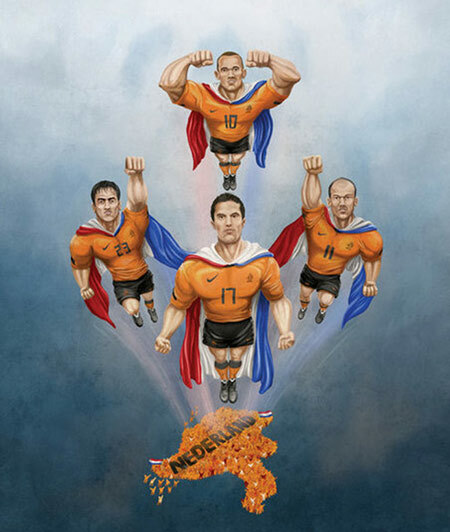 PREDICTION – Should make it out of the groups, but will run into the well-oiled machine known as the Netherlands. For a small nation devoted to rugby, making this year’s World Cup was a tremendous achievement. Aided by Australia’s defection to the Asian zone, New Zealand’s route to the World Cup included facing the footballing heavyweights of Fiji and New Caledonia. The friendlies recently have been the best indication of what ‘The All Whites’ can offer this summer, and with a 1-0 win over Serbia, they have a reason to be optimistic of an upset. 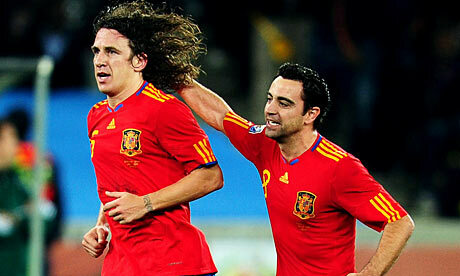 On the flipside, their Confederations Cup exploits last year were terrible after being smashed 5-0 by Spain. Tournament football can be a cruel mistress at times. Organised well in defence, considering their talent pool isn’t great (mostly A-League players). Captain Ryan Nelsen is a tough brute of a centre-back. Have little expectations placed upon you could take you far. Blackburn’s instinctive centre-back led his nation this far. Will have to be at the top of his game against far superior sides. His experience in the Premier League is vital to a team full of lower league players. We’re ready. I can’t wait for the opening game. 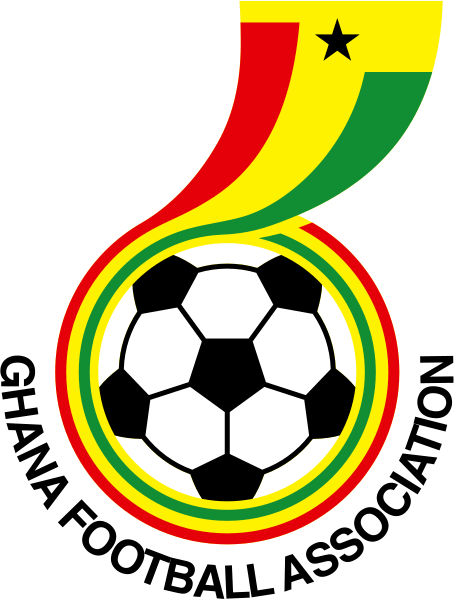 – The battle cry from Herbert ahead of the kick-off. Typical Antipodean, all talk little substance. PREDICTION – Small fish in a big pond. Predators will take the All Whites apart. 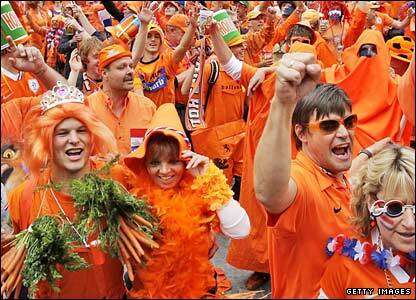 When every World Cup comes around, everyone places an outside bet on Holland. Based on their qualifying campaign, it seems a very safe bet. Their football is certainly entertaining and at times, dazzling for the spectator. But when it comes to tournaments, the Dutch will often begin with performances full of flair and vigour, but then collapse in the late stages. So can this crop of flying Dutchmen eradicate the memories of old? For so many years, Holland have been the nearly men of international football. In the 1970’s, they were the creators of Total Football and had the maestro, Johan Cruyff as the master of that system. The 1980’s saw other great players emerge. Rijkaard, Gullit, Van Basten. All superb footballers who had an hand in Holland’s only tournament victory, Euro 1988. The 1990’s saw Dutch club football reach its heights, with the Ajax youth system reaping dividends. Bergkamp, the De Boer brothers, Kluivert, Davids, Overmars. I could go on. But they didn’t win anything internationally either. The point is Holland produces some of the best footballers of their respective generations. But they’ve never won the big one. The question is why? This decade has seen the Dutch decline set in, after failing to make the World Cup in 2002 (under arguably their most successful manager Louis Van Gaal). They were arguably the most fluid side at Euro 2008, dismantling World champs and runner-ups Italy and France. These goals show the pure tactical class of the Dutch passing system and also their ability to counter attack like no other side. But once again, Holland fell short after they were undone by their former manager and national team specialist, Guus Hiddink. This time round, Holland possess arguably the most dynamic frontline out the European teams. Wesley Sneijder has had a sensational season at newly crowned Champions League winners Inter Milan, and was in my opinion, the best footballer in Europe this year. He was the creative engine behind that side and similarly here, he will look to link up with Robin Van Persie. Van Persie, by his own admission has had a injury-plagued season, but there’s no denying what he brings to the side: a accomplished striker. If he reaches peak fitness in time, then he can be deadly. The wings in the adapted 4-2-3-1 formation will often blaze forward in an aid to help Van Persie. Arjen Robben, like Wesley Sneijder, has excelled after leaving Real Madrid, scoring some outrageous solo efforts. His form could well be key to Dutch success in South Africa but if reports are to be believed, he’s suffered a hamstring tear. On the right should be Rafael Van Der Vaart, who chose to stay in Madrid. He offers may options as well, and could also cut inside with devastating effect. Bert van Marwijk has balanced his side well. The glamour up front is well supported by bruising determinism and experience behind. Mark Van Bommel and Nigel De Jong will likely be the holding midfielders, each bringing different aspects. De Jong has proved at Manchester City that he’s a superb no-nonsense tackler, which City really needed. Van Bommel is an enforcer but also a great passer as well. Tackling isn’t exactly his strongest attribute and he has a short fuse. The subs bench also looks good as well. Ibrahim Affelay has been a revelation for PSV, and will be a useful impact sub when called upon. Dirk Kuyt’s work ethic is often underrated and he would also easily slot into Van Marwijk’s system. Holland’s defence however worries me. Some players are way past their prime, particularly captain Giovanni Van Bronckhorst, a superb servant over the years, but I doubt he could cope with particularly fast wingers at left back. Andre Ooijer also falls into this category, and both him and Gio are 35. 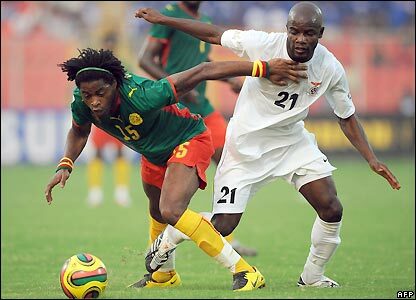 They both provide vital experience and composure to the defence, but speed is lacking at the back. This could see Johnny Heitinga partnering Joris Mathijsen in the heart of defence. If the Netherlands had a world-class centre back, like so many other nations, then they would be classed as one of the favourites. Brazil have Lucio, England have John Terry (on his day can superb, just not this season) and Spain have Gerard Pique. All 3 are great centre-backs, although I’ll gladly except one has been haphazard at times this year. Holland need a defensive rock similar to Jaap Stam, a player who would cast fear into opponents. They don’t have that. The goalkeeper situation is worse however. Since Edwin Van Der Sar retired from international football, Holland have struggled to find a replacement. Maaten Stekelenburg lacks the leadership qualities of predecessor and he often looks shaky at times. This could prove to be disasterous, but he’s the best option viable to Van Marwijk. If Holland’s defence perform as well as they did in a easy qualifying group, then there won’t be a problem. Unfortunately, for them as they well know, this stage is much tougher. Injuries will be a factor as well, the side is ridden with players prone to injuries. So, is the future bright for Holland? Certainly, but they’ll need a lot more luck on and off the field, if they are to make the final in Johannesburg on July 11th.